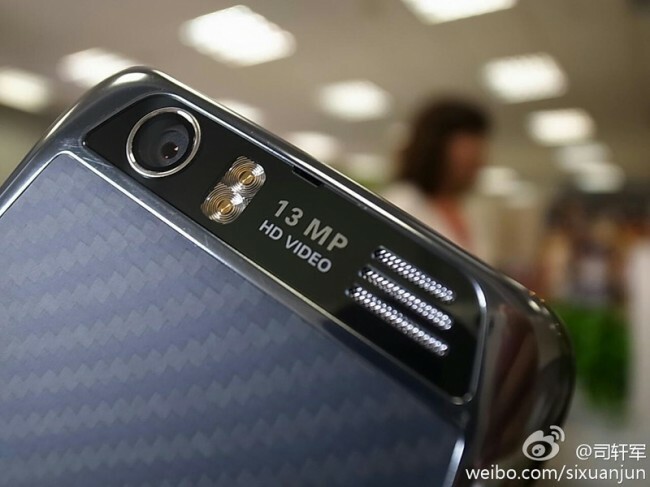 DROID RAZR with 4.5″ 720p HD Screen and 13MP Camera Appears in China? Recent purchasers of the DROID RAZR, please turn away now or prepare to be semi-frustrated by the news we are about to spread. Turning away? OK, good. To the rest of you, what you are seeing in the picture above is a RAZR variant that is headed to China, only it differs slightly from the newly released version we have our hands on here in the states. And no, I don’t mean that it has a different radio or slightly tweaked Blur skin, I’m talking about a couple of changes that would have been nice to see on our shores from the beginning. The phone will rock out in the photo game with a whoppin’ 13MP HD camera, a slight bump from the 8MP shooter included in the DROID RAZR that was released here in the last week. It will also ditch the 4.3″ qHD Super AMOLED Advanced screen for a 4.5″ HD 720p screen. That’s right, the phone that was just released here in the states, already has a replacement on the way – at least in China. Now, I don’t want to jump to any major conclusions here, but after seeing the Bionic get replaced by the RAZR after less than 2 months on the market, and with the DROID3 about to get 1-upped by the DROID4, it’s hard not to think that this new HD RAZR will be here in early 2012. There have been a couple of rumors floating around the back alleys of our Android world over the last couple of weeks suggesting that an “HD” Moto device is on the horizon – I’d say this is probably it. And the phone in the front of the three shown above with the “Dolby” audio is being rumored as the next DROIDX device, possibly the DROIDX3. 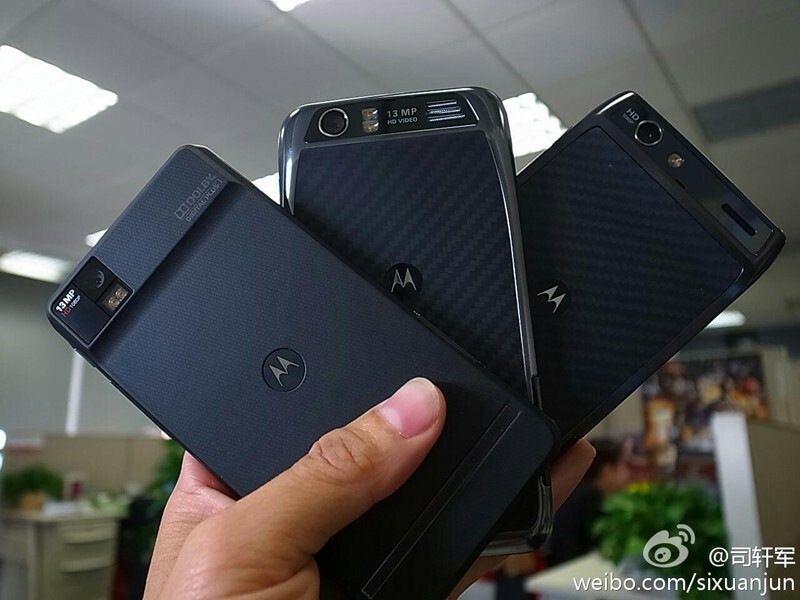 How many more phones are we going to see in the next 6 months, eh Moto?